Two-hundred-and-eighteen in a series. Welcome to this week's overview of the best apps, games and extensions released for Windows 10 on Windows Store in the past seven days. Microsoft released another Windows 10 Creators Update build this week to the Fast Ring channel. You can read Wayne's summary of the build here. As always, if I missed an app or game that has been released this week that you believe is particularly good, let me know in the comments below or notify me via email instead. Complete Anatomy is an anatomy learning platform that is available as a limited free app, and a full commercial version. 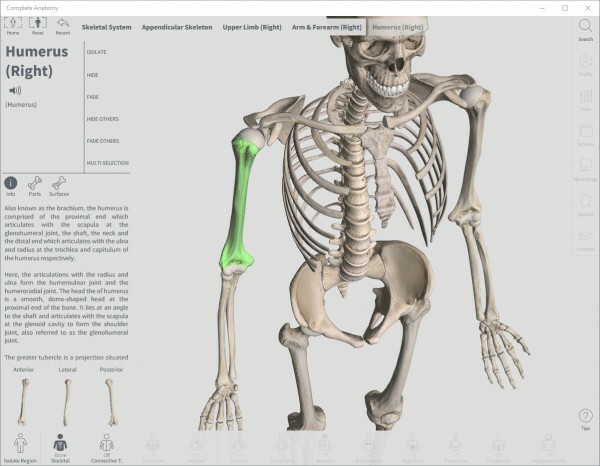 The free version provides you with access to the skeletal system and Connective Tissue. You can zoom in and out, rotate, and display information on parts that you click on. Users who register for free get access to limited lectures and tools, and the sharing platform. Those who purchase the application gain full access to the system including to muscles, nerves, bone parts, a soon to be released female model, and options to create groups to use the app with other users. The mixed reality application requires that you enable Mixed Reality on Windows 10 before you can start it. 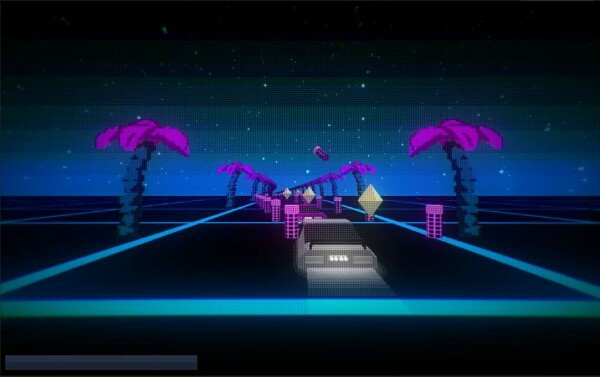 It is a retro 8-bit remix of Go created by Microsoft and a "team of indie game designers." 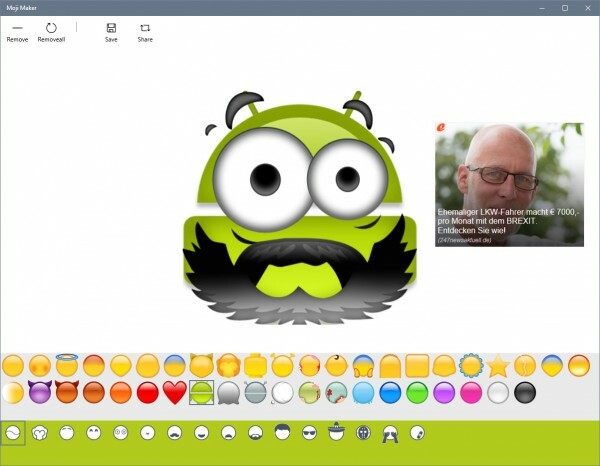 Moji Maker is a free application for Windows 10 that enables you to create your own emoji with just a couple of clicks or taps. The app ships with hundreds of templates that you can combine to create your own emoji. Pick a shape, mouth, beard, hats, eyes and more with a tap, and see results directly in the preview area while you make your selection. Creations can be shared directly, or saved as png image files to the local system. 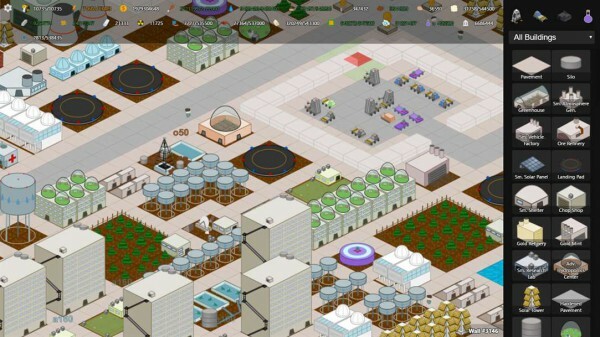 My Colony is a strategy game in which you try to establish a colony on a planet. You start from scratch with two colonists and a small vehicle, and need to gather resources, build structures to get food, energy and water productions up and running, and expand your base to collect more resources, and build advanced structures that help you advance further into the game. 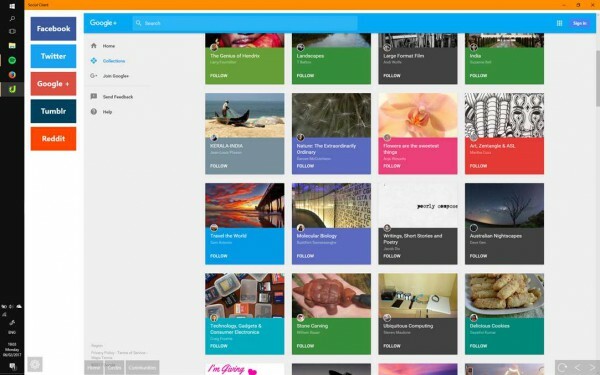 Social Client is a brand new application that brings all your favorite social networks together in one place. The app supports Facebook, Twitter, Google Plus, Tumblr and Reddit right now, but plans are underway to bring additional networks to future versions. You need to link your accounts to the app to use it, but can switch between different networks afterwards with just a click or tap. Messenger by Facebook seems to get voice and video calling functionality, at least for some users (maybe server side rollout). OneLocker password manager update introduces contact field, reset option, location field improvements, code optimizations and more. WeCode toolkit for UWP developers update brings new interface and interaction system, and mobile version.